The Corning Museum of Glass will release a sequel to the popular digital publication on Venetian glassworking techniques by William Gudenrath. Corning Museum of Glass will host a live launch party to celebrate its new digital publication, The Techniques of Renaissance Venetian-Style Glassworking, by artist and scholar William Gudenrath. The sequel to the popular title The Techniques of Renaissance Venetian Glassworking released in 2016, this scholarly electronic resource presents complete video reconstructions of the historical glassworking process. Gudenrath’s live launch party at 9 a.m 4 February on the museum’s website will be available worldwide. The author will release an exclusive introduction video, which will be followed by the airing of all videos created for The Techniques of Renaissance Venetian-Style Glassworking and respond live to questions and comments from viewers. While Gudenrath’s first publication detailed the golden age of Venetian glassworking, the sequel publication follows the Venetian maestros as they fled isolation and restrictive conditions in the lagoon to set up workshops in a variety of locations across Europe taking their masterful skills and technical prowess with them. 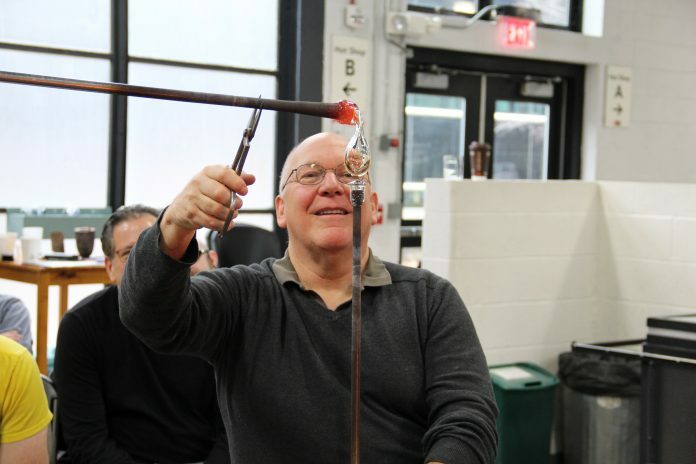 William Gudenrath is a glassblower, scholar, author, lecturer, and teacher. He is recognized internationally as one of the foremost authorities on glassmaking techniques of the ancient world through the 18th century. He has spent many decades studying specific works in glass to determine how they were made. In addition to his numerous contributions in print and video on many aspects of glass history, Gudenrath is co-chairman, with Lino Tagliapietra, of the technical committee of Venetian Glass Study Days at the Istituto Veneto di Scienze, Lettere ed Arti, in Venice, and serves on the International Advisory Committee UrbanGlass in Brooklyn, NY. His works are sold in the Museum Shops, as well as other exclusive stores and galleries nationwide.